Wow-white-so difficult to work with and you've done it just wonderfully. You are an inspiration! 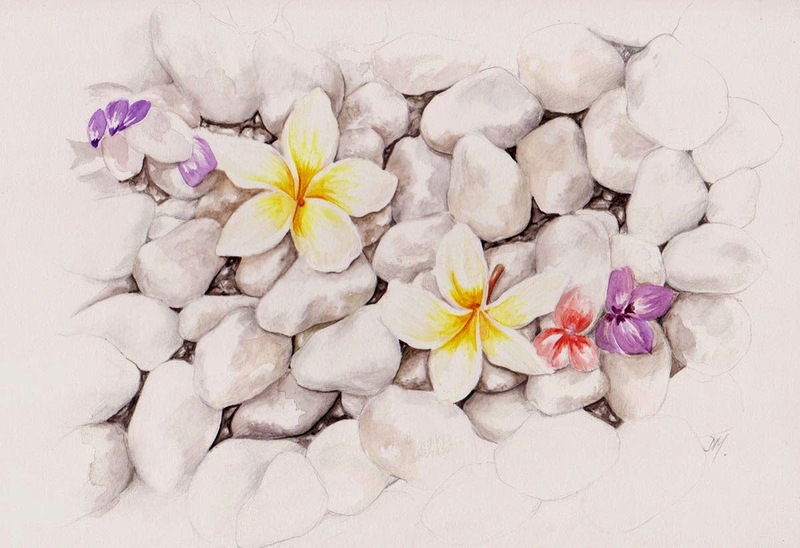 So pretty, especially with the contrasting texture of the pebbles! This is lovley. Great composition and textural contrast.